Chicken Friendly Plants - Which Plants Won't Chickens Eat? These plants are what we’ve found (from experience) that chickens do not touch. If you have any others to add to it, please leave a comment below to share your findings! Every plant that grows up above chicken head height seems to work, especially if under planted by lavenders or similar. Give climbers protection at first but once established, they are fine. Chickens do scratch around and disturb the soil, but they also keep the insects down and manure as they go! Pyrethrum daisies work well, but tend to spread everywhere. Pyrethrum and Wormwood are great to grow around the yard, as they also repel insects. 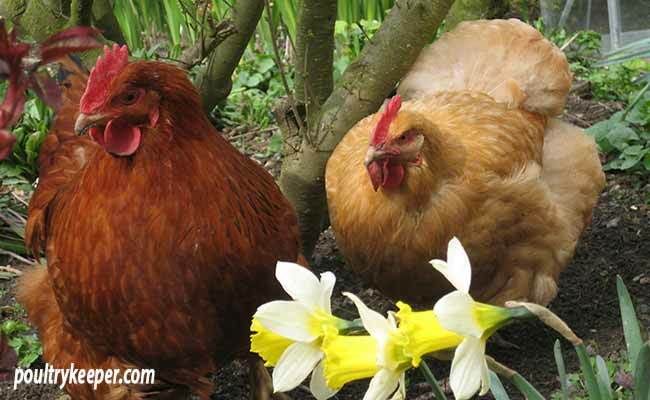 Some of this list can be debatable – whilst some chickens won’t bother with a plant on the list, others may devour it! Sometimes a little trial and error is called for. Oriental Grasses & Bamboos once established.